Small dog syndrome is a common problem. The root cause is that all dogs are pack animals, and as such they follow the leader of the pack who decides when it’s time to play, when to eat and who eats first, and so on. If you’re not careful and don’t train your dog well and make sure they know who’s the boss (that’s you! ), they’ll start to assume the role of leader of the pack. This is especially true of small dogs as they seem cute and cuddly and not much of a threat, and so we’re tempted to indulge them and let them get away with misbehavior that we wouldn’t tolerate in a larger dog. The same is true when we’re tempted to protect our cute, little dog from the big, bad world by keeping them away from other dogs and people. This may be well-intentioned but it deprives the dog of socialization and results in a fearful and nervous dog. 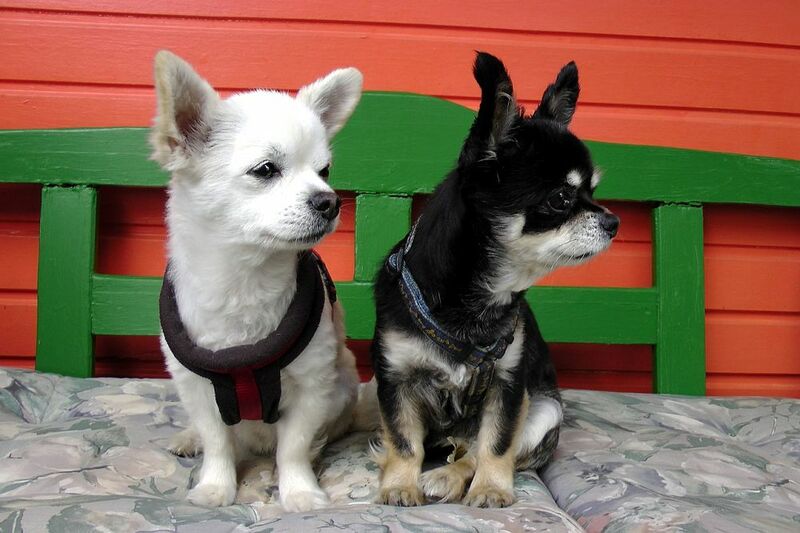 When we do this, a small dog will soon start to show signs of small dog syndrome. Indeed, with the rise in popularity of small dogs has come a rise in the number of dogs being handed in to kennels with behavioral problems. With this in mind, it’s important that you know how to recognize the tell-tale signs of small dog syndrome, how to prevent them in the first place and how to deal with them if they do start to show. Your dog barks at you or begs for food when you’re eating. Your dog nudges you when they want stroking and petting, or drops a toy by you and barks when they want to play. Your dog barks loudly and lunges at other dogs or even people when you’re out walking. Your dog strains on the leash and insists on walking in front of you. Your dog jumps on visitors, or onto furniture when they’re not permitted to do so. Your dog sets their own feeding time. Your dog barks continuously at any noise. Your dog suffers from extreme separation anxiety when left alone. Your dog nips at people’s heels. Your dog insists on pushing through the doorway first. Make your dog obey a command, such as “Sit!” for example, before giving them what they want. If they refuse, don’t give them a reward. Wait a couple of minutes and then try again. Eventually they will learn that there’s no reward if they don’t obey. Don’t allow your dog to jump on the furniture or your lap until they’re submissive. Don’t allow your dog to jump up at other people. Train your dog at an early stage to walk by your side on a leash and to heel when commanded to do so. Teach your dog to socialize by taking them to different parks and other areas where there will be people and other dogs. Invite people round to your house so that your dog gets used to other people coming in. Train your dog not to bark at the door, window or in the garden. Don’t mollycoddle or baby your dog; this will only train them to be scared of other animals and people, loud noises, and so on. Consider taking your dog to behavioral/training lessons. Train your dog well and follow these steps from a very early stage and you’ll prevent your dog from ever developing small dog syndrome. If your dog already shows traits of the syndrome, still follow this advice and in time they’ll get over it.